These two sides will temporarily mate and attach, but they are also easy to pull apart. I was terrible at tying my laces when I was a kid, so I had Velcro shoes for longer than I care to admit. But the temporary fastening solution has been used on all sorts of other commercial products, including tents, coats and wrist supports. 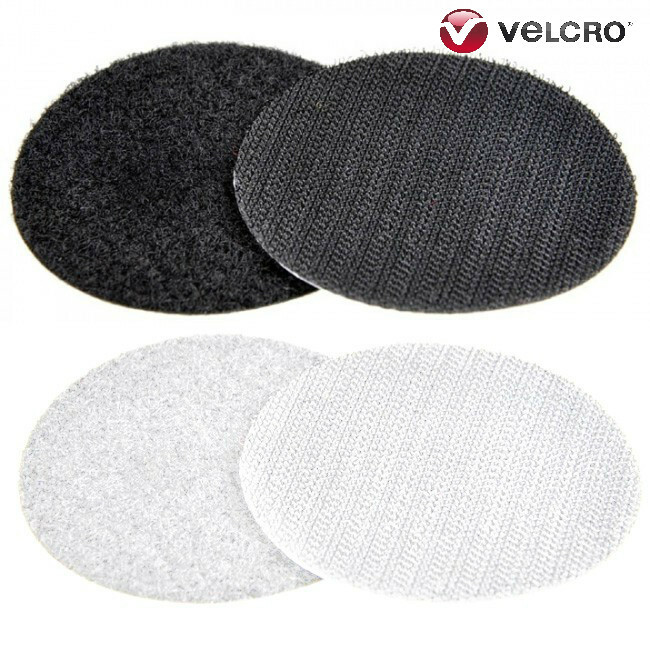 By themselves, Velcro branded products can be very helpful too. 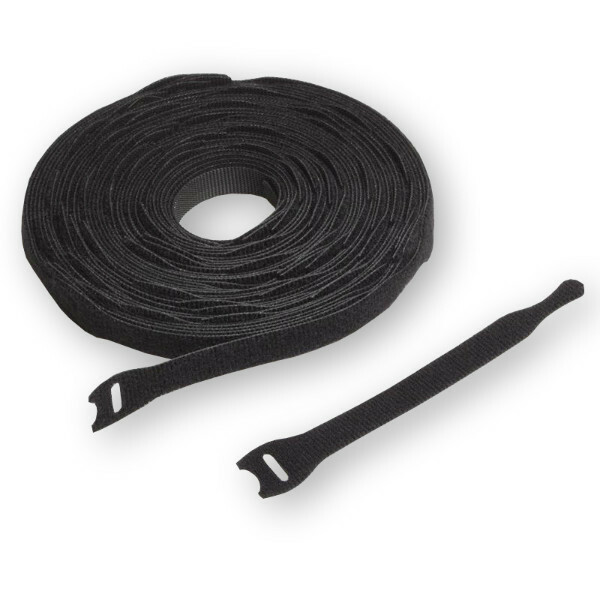 Hilltop Products range of Velcro-powered products includes cable wrap, straps, tape, cable ties and coins. These products can be used for all sorts of tasks around the home, from cable management to basic DIY and home organisation. In this blog post, we have identified five of the best household uses for these magic products. Always dreamed of having your own home cinema or a big home entertainment system? The big screen, a sound system that can be measured on the Richter scale and a media library stacked with thousands upon thousands of films. It’s a cinephile’s dream. But all this tech brings an unwelcome guest; the snaking power cords and transmission cables that cover every cubic inch of space around your TV unit. Simple, easy to fasten and unfasten cable management products can be used to tidy up the cable mess. And Velcro is the perfect candidate. 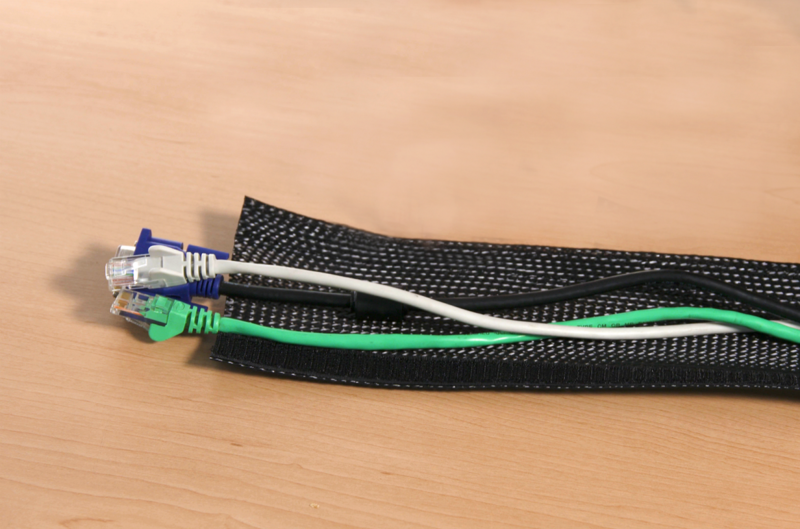 Velcro cable wraps can be used to bunch separate cables together, making them look tidier. You don’t need any special tools and the cables can be branched out at different points, making it easy to accommodate cables of different lengths in one bundle. You can also use Velcro cable ties group cables a bit looser and Velcro coins to direct cables around the unit so that they are out of sight and out of mind when you are trying to watch your films. If you spend a lot of time working or playing in front of a computer screen, you want to make sure that it’s the perfect working environment. For a lot of people, this means creating a perfectly clean, wire-free environment. In fact, there are entire internet gamer communities dedicated to creating the perfect ‘battlestations’. If you want to create your piece of home computing zen, one of the most important things you need to do is hide your cables. You can hide computer cables just like TV cables, but it differs slightly because you can often mount and hide cables underneath your desk. You can use Velcro cable ties to control cables around this. That way if you need to take anything out then the Velcro is easy to unfasten and remove. You can also remove clutter off your desk by using sticky-back Velcro fasteners to fix everything from stationary to loudspeakers to the side of your desk. Want to suspend pictures, posters or mirrors but scared about what you might do to the wall with that big hammer? Velcro is the perfect no-nails solution for people living in rented accommodation and anyone who doesn’t want to scar their walls. Certain Velcro products give you industrial holding power, with enough strength to suspend the heaviest frames and mirrors above the ground. 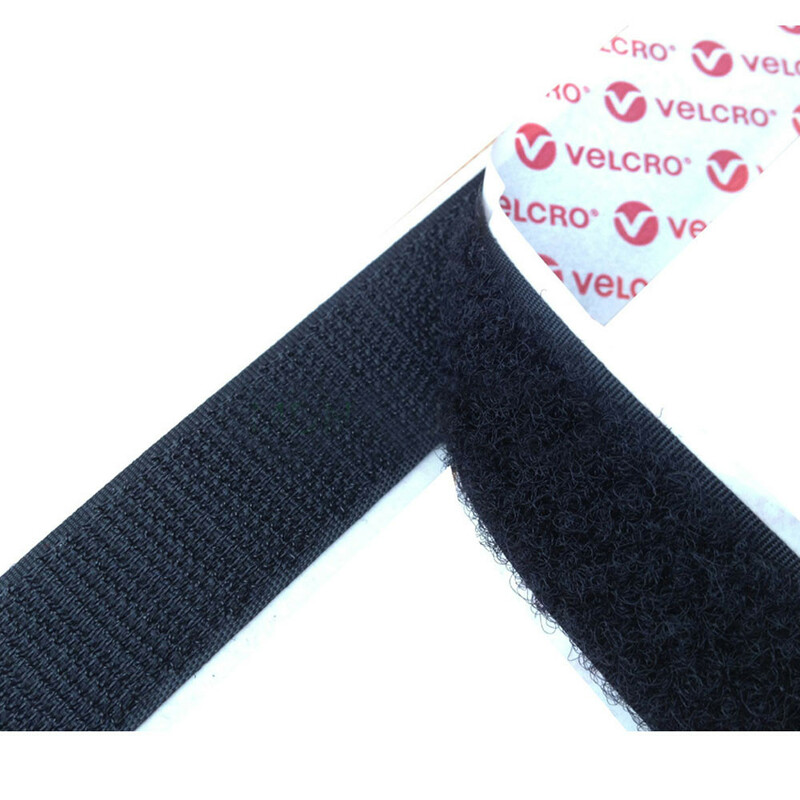 Velcro brand heavy duty tape can hold 7kg per 50mm x 100mm strip and you can buy five-metre rolls of the stuff for less than £50.00 on the Hilltop Products website. And when you are ready to bring them down, you can remove the Velcro from the wall without leaving so much as a mark on your paint job. Velcro tape and strips can be used to suspend a whole range of wall hangings, from seasonal Christmas card displays to wall decorations in the kids’ bedrooms. I love cooking with different spices. But I never have enough space to store all the tiny bottled ingredients. All my spice jars cover the bottom of one of my kitchen cabinets and it’s sometimes hard to find a specific spice that a recipe has called for. If you’re a bit like me and can never find the right fragrant spice in your cabinet, then Velcro could be used to suspend your outside the cabinet where they’re easy to see and easy to access. The Velcro-stuck jars are easy to de-attach, unscrew and re-attach and never again will you go losing the secret ingredient that goes into your special chilli. You can use this principle for all sorts of household organisation. It could even help you stop losing things like your keys, the TV remote and even heavy tools in the garage. Does your doormat ever go walkabout? Are you sick of the corners of your rug flapping up and ruining the feng shui of your living room? You can’t glue your doormat or rug down permanently. What would happen if you tried to shake it out or throw it away? Instead, the temporary fixing power of Velcro is your friend. You can attach half of your Velcro strips to the underside corners of your doormat or rug and the other half to the floor and the hook and loop system will keep it all in place with more force than you might think. You’ll be able to skip and skid through your house without anything coming unstuck (which might actually be useful if you have kids). For more information on any Velcro branded cable management products, please speak to a member of the acounts team today. Call: 01942 723 101.